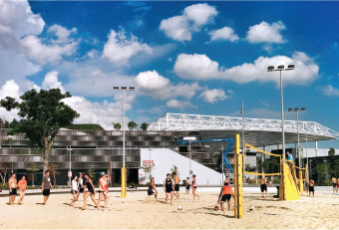 Stay active, and let the fun begin with friends and family at the Singapore Sports Hub! Radiating energy and an upbeat atmosphere, escape to these fitness arenas to get in the best shape you can be! 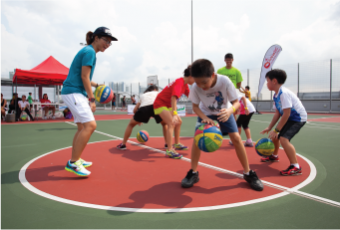 Perfect for basketball, the three Sports Hub Hard Courts welcome one and all, from the novice to the experienced! Revitalise your body and mind through active shuffling and great passes on these courts. Stay alert from the first serve to the final point! 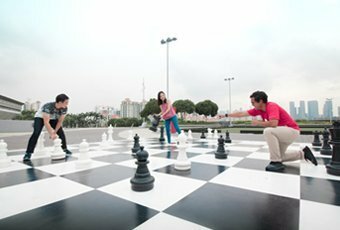 No longer just associated with brainiacs and the super-intelligent, this "larger than life" chess set brings a new dimension to your favourite game! 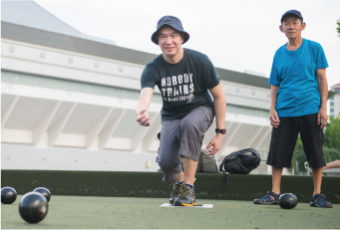 Perfect for anyone aged from nine to ninety, lawn bowling puts your coordination and motor skills to the test. Drop by for a play and engage in a friendly match! Click here for more programmes happening at Lawn Bowls.